This clip art will likely end up being one of my top favorites. 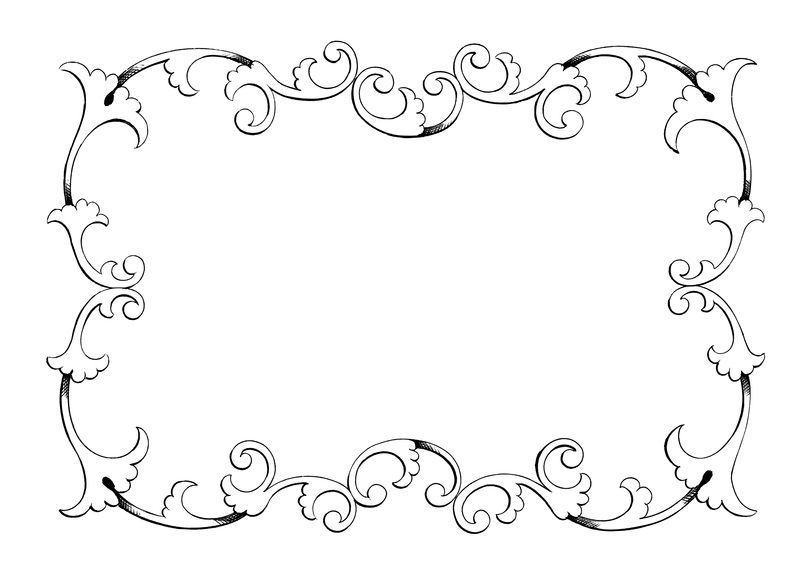 I was so excited to find this gorgeous frame border with elegant soft decorative swirls. The uses for it are unlimited. My thoughts are already whirling with ideas for hand made cards, tags or even a decoupage / transfer DIY project. Thank you for a wonderful blog! Your designs will be so fun to use in my paper crafting. Thanks Chelsea! I’d love to see how you use them. You’re welcome Angela! Glad you like it. have to pin this right now!!! I love it too! So glad you like it Pat! Just found your site, I’m really excited! Thanks for the free graphics! I’m recommending your page to friends! They are from vintage books, extracted and digitally cleaned up. Thank you so much! !